Frame rate, resolution, aspect ratio, bitrate - all of these terms get thrown around in the video world a lot, especially when comparing video quality, but what do these terms really mean? In this article, we'll give you the low down on what all of these factors mean for shooting video of any sort, as well as how they apply when shooting with a number of different GoPro models. Frame rate refers to the number of frames captured per second by your camera. The standard rule of thumb when setting your shutter speed (the amount of time per frame that your camera's sensor is exposed to light), is that your shutter speed should be double your frame rate. For example, you would use a shutter speed of 1/50 if shooting a frame rate of 24. Why should I care about Frame Rate? Your frame rate dictates a lot about how your video is going to end up looking. Many filmmakers shoot at 24 or 30 FPS because it gives their footage a more traditionally cinematic and filmic look and feel. Action sports shooters often shoot at higher frame rates because it allows them to slow down their footage to create those amazing slow-mo shots. A higher frame rate will give you the ability to create slow motion footage because more frames are being captured per second, which means you can slow the shot down without breaking the beta movement illusion. 120 or 240 FPS are usually used for this application, but 60 FPS can be used in situations when you might want to shoot at a higher resolution and your camera will not allow for 120 or 240 FPS. When a video's frame rate is too low, your mind will no longer be convinced (see the beta movement illusion above) that the footage is continuous and the video will appear to jump. This occurs at anything below 16 FPS. 30 FPS produces footage that mimics a film camera's frame by frame capture, which gives it a cinematic feel without the judder that sometimes occurs when shooting 24 FPS. Another good resource if you'd like to delve more into the evolution and history of frame rate is A Frame's article A Beginner's Guide to Frame Rates. What are Resolutions and Aspect Ratios? Resolution is the pixel dimensions of a video clip. The more pixels, the higher quality the image. Ever heard people talking about shooting 4K footage on their GoPros? It's because 4K provides the highest quality video and finest level of detail that a GoPro can shoot. Aspect ratio refers to the ratio of width to height of a video. 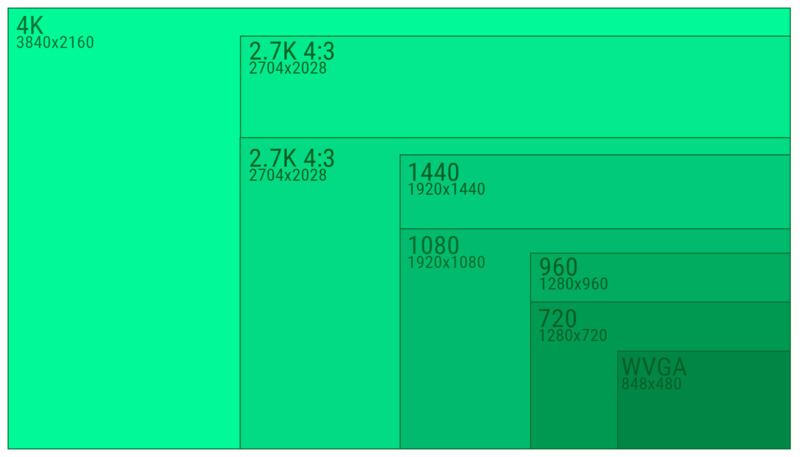 For example, shooting at a resolution of 1440p will result in an a 4:3 aspect ratio (1920x1440). It is a very similar resolution to 1080p in that they are both 1920 pixels wide, but 1080p footage (1920x1080) will have a slightly shorter frame, resulting in an aspect ratio of 16:9. Bitrate is another measure of quality of video - it is the amount of data dedicated to a second of video. So the higher the bitrate, the more data and the higher the quality of the video. 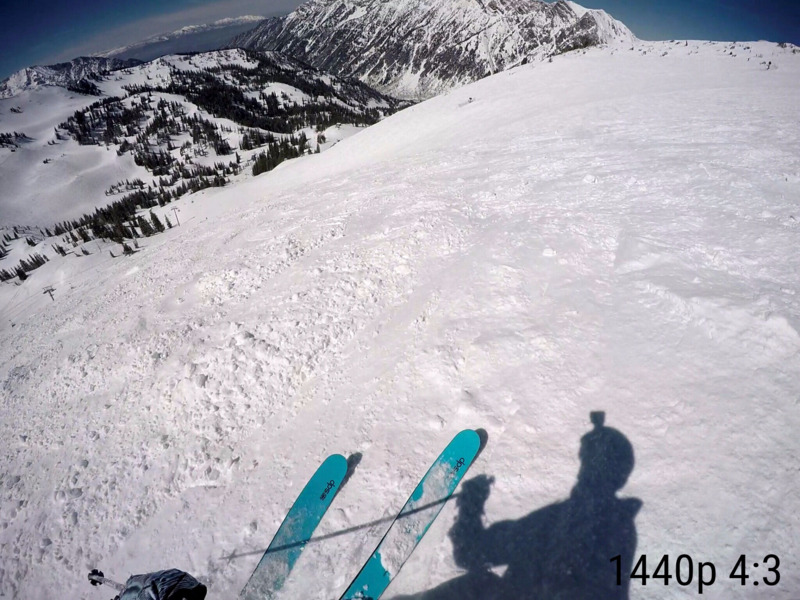 On GoPro cameras, each resolution paired with a field of view (FOV) will produce a different bitrate. As such, the bitrate is not a setting one can change itself, but is rather something worth considering when selecting other settings. Why should I care about Resolution, Bitrate and Aspect Ratio? What level of quality you'd like your video to have, as well as how good your video will look when viewed at different sizes ie: 720p footage doesn't look so great when viewed full screen on a computer. How much of the footage you want to show ie: POV GoPro footage looks better when shot in 1440p, because it shows off more of the horizon line and provides important visual reference points. Additionally, the higher your resolution, the more you can crop footage to focus on the part of the frame you like the best. For instance you can crop 4K footage to 2.7K, which will retain the high pixel count but create a slightly smaller file size because of the reduced dimensions of the video. As of Version 1.4.0, users now have the option to choose the export bitrate for all trimmed clips and Highlight Reels exported off the GNARBOX. This allows users a higher level of control over their video export size. For a deeper dive on bitrate configuration and how it applies to GNARBOX, check out our Bitrate Configuration Settings article. How does all of this apply to shooting with GoPro cameras? As resolution increases, so does the amount of data each clip contains. Compare the file size of a 4K clip and a 1080p clip of the same length and the 4K file will be larger 100% of the time. It just has that many more pixels stuffed into it. As frame rate increases, so does file size. If you're shooting at 120 FPS, you're creating 4 times as many frames as you would shooting at 30 FPS. Shooting at very high resolutions and high frame rates results in really large files, which take up a lot of space and tax the processing power of your GoPro. 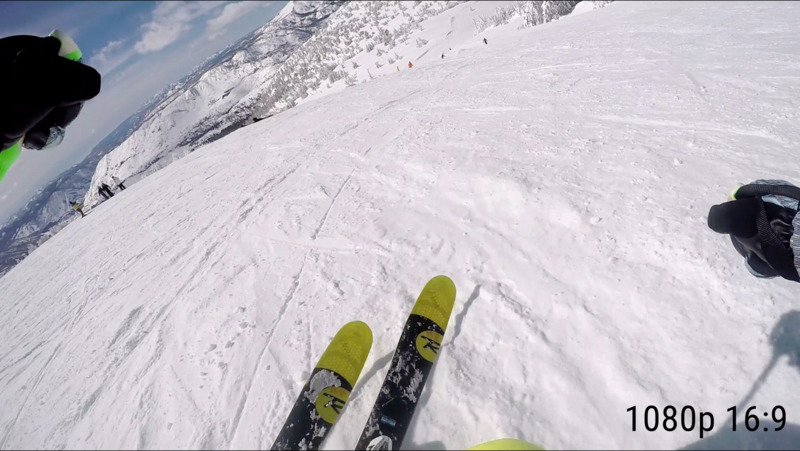 This is why your GoPro limits you to shooting a maximum 30 FPS when shooting 4K. Abe Kislevitz has a great article about his favorite GoPro Hero5 Black settings for a variety of situations here.